Heaven’s just a place on earth? 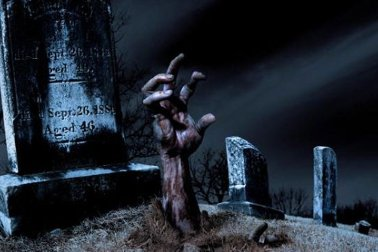 The images I recalled were of ecstatically happy (and not at all undead looking) people literally jumping out of the ground in the cemetery — which I realize would be hard for most of you to imagine. So I decided to see if any of the drawings were online. Alas, I could not find any with people actually coming out of graves — I guess the Jehovah’s Witnesses scrapped that scary stuff. 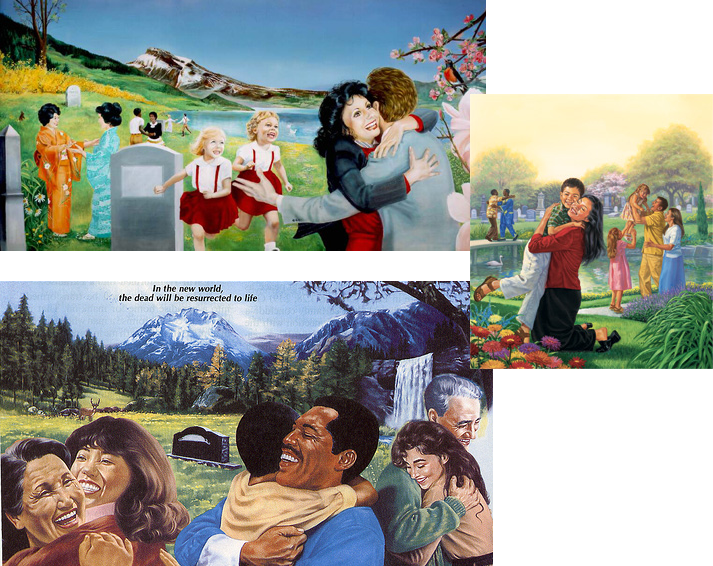 All I could find was drawing of people looking really, really happy in cemeteries. The resurrection business is now merely implied. No, I am not kidding. All from the Watchtower. The other drawings I remembered were of the earthly paradise — where people (well, only the good ones) lived in peace and harmony — not just with each other, but with animals, too. All kinds of animals. 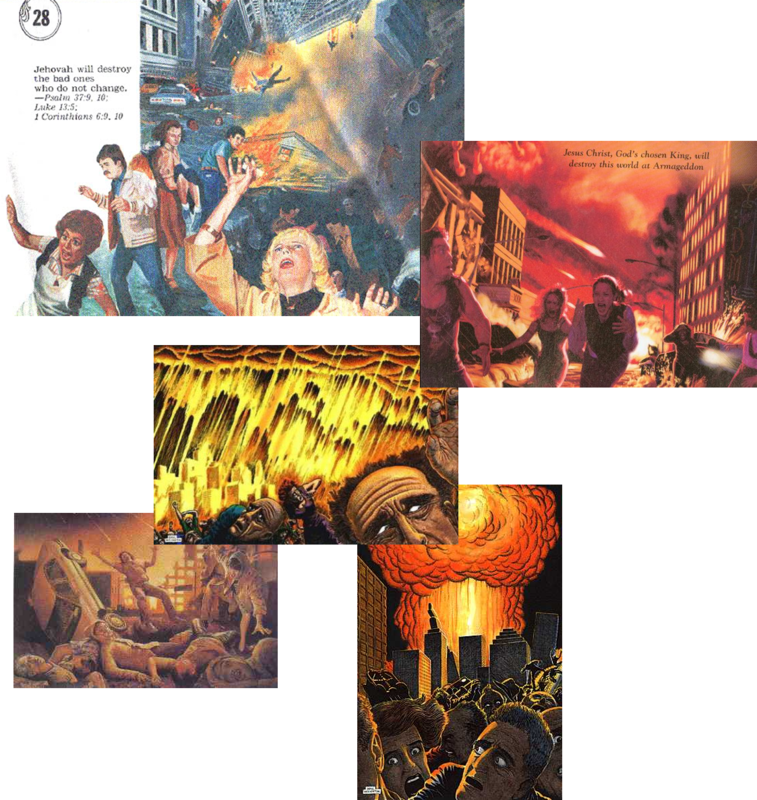 There were lots of pictures of Armageddon online, though. Got to make sure the faithful know what’s coming. 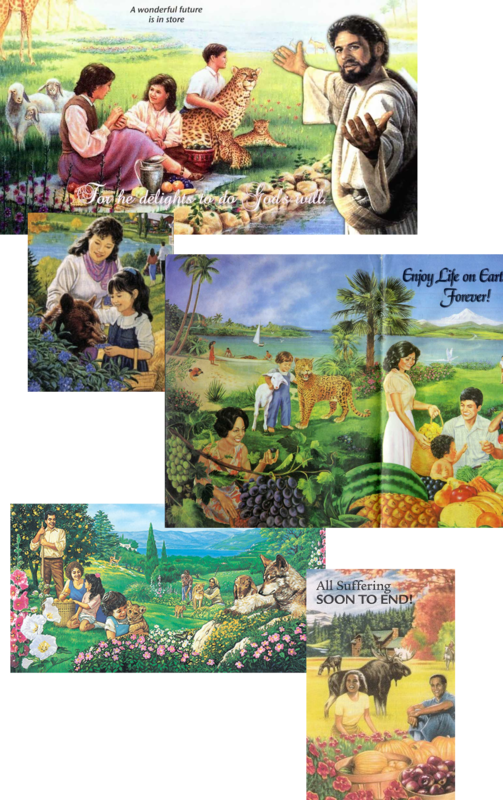 Aside: I’m not a Jehovah’s Witness (obviously) and nor have I ever practiced the faith, but they did figure rather prominently in my childhood. I had no idea! (And I went to Lutheran church and Sunday School for many years.) This is fascinating.